While becoming a dentist is one of the best career paths, it’s not uncommon to see dental school debt of $300,000 or more. According to the American Dental Education Association, the average school debt was $261,149 for the graduating class of 2016. And for dental specialists, the average dental school debt is even higher. To put this into perspective, the average dentist leaves dental school with $70,000 more in debt than the average medical school graduate. The average dentist who takes advantage of working with the #1 dental school refinance provider will save over $25,000 in savings. And with our dental school refinancing package, there are no origination fees and no prepayment penalties. 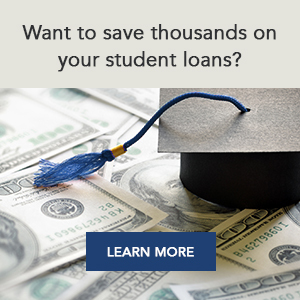 If you would like a $500 incentive to refinance with the leading provider of dental school refinance loans, then visit our friends at SoFi.